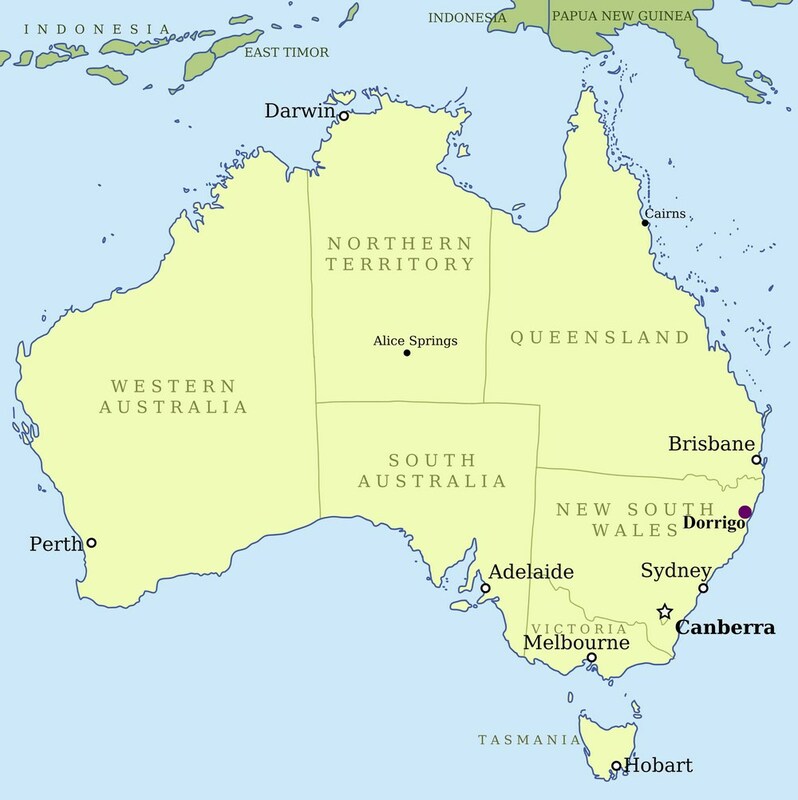 Select "Satellite" to view the terrain around the Blicks River. 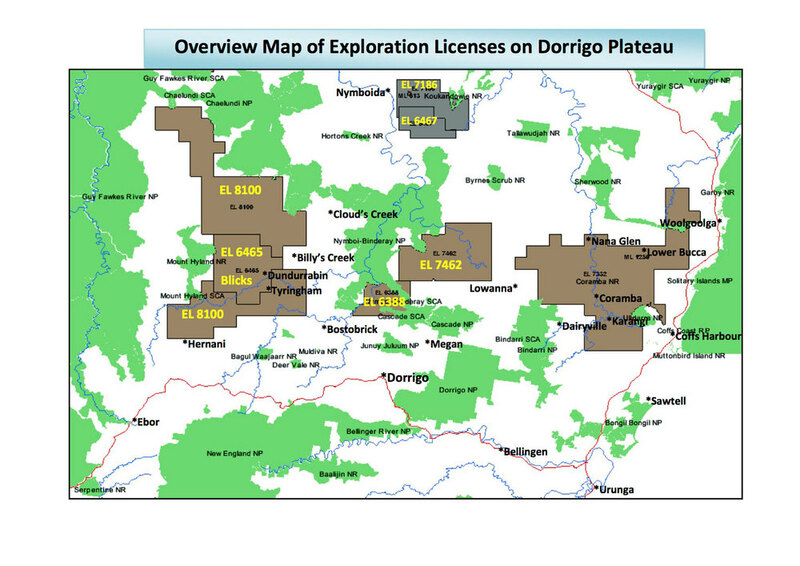 By moving the viewpoint you can view the Dorrigo Plateau where there are many inappropriate exploration leases. By selecting "Map" and then "Terrain" you can clearly identify the river valleys and Mt Hyland Nature Reserve. 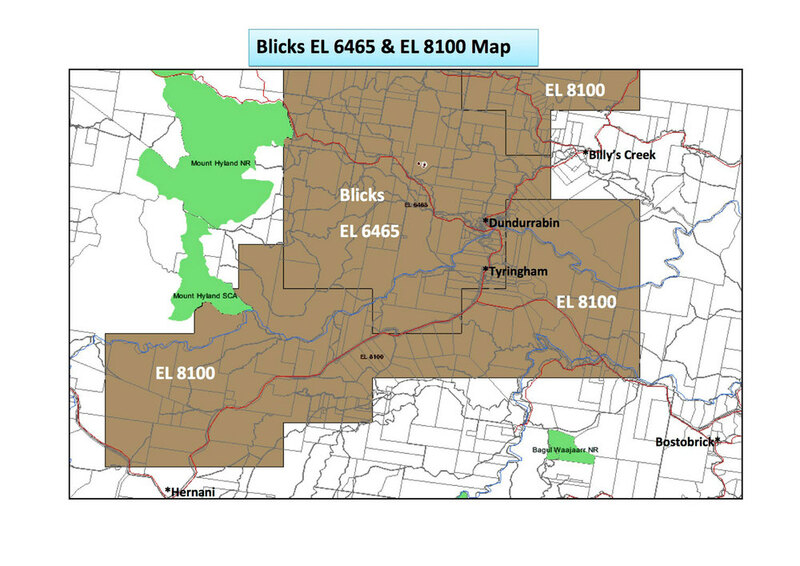 The maps below show the exploration licenses on the Dorrigo Plateau with the second map showing a closer view of the "Blicks Project".